CGM has teamed up with Armored Warfare for an exciting giveaway! To enter: simply tweet a link to this contest and tag @CGMagOnline and @ArmoredWar with the hashtags #ArmoredWarfare, #CGMGivaway along with your favourite winning strategy for a chance to receive a Rookie Pack Code or a Legendary Pack code. We’ll be retweeting our favourites so get creative! Contest runs from February 22 to March 2. Winners will be picked daily so let’s get to the battlefield and plan some strategies! Prizing is provided courtesy of Armored Warfare and My.com. 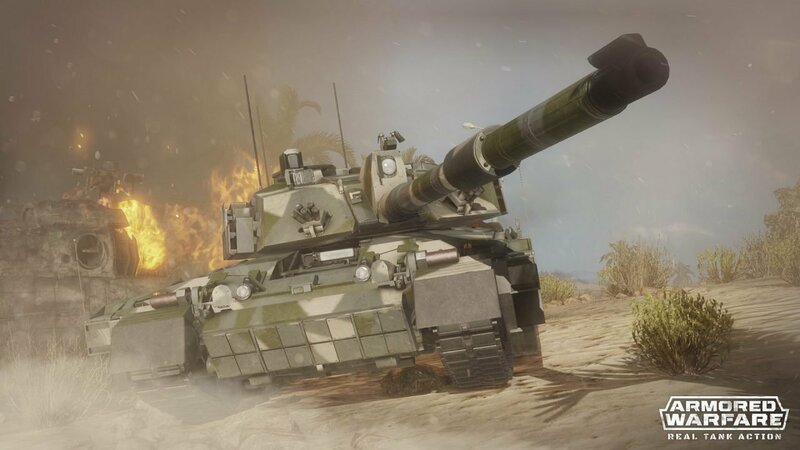 “Armored Warfare is a free-to-play MMO military video game that brings tank genre to the next level. Control your modern tank or armored fighting vehicle. Choose co-op missions, PvP battles or even hybrid battle modes. Attack and dominate war theaters ranging from deserts to cities, and crush the enemies on the modern battlefield! CONTEST (“CONTEST”) ADMINISTERED BY CGMagazine. (“ADMINISTRATOR”). NO PURCHASE NECESSARY TO ENTER OR WIN. ONLY A TWITTER ACCOUNT is required. By participating, entrants agree to be bound by these Official Rules and the decisions of the Sponsor and Administrator. Void where prohibited by law. Contest is open to legal residents of Canada and the United States who have reached the age of majority in their respective province or territory of residence at the time of entry. Employees or contractors of the Sponsor(s) and immediate family members of, and any persons domiciled with any such employees or contractors, are not eligible to enter. No purchase necessary. Winner(s) will be chosen at random via Tweets following the contest format. The odds of winning will depend on the number of entries received. The winner will be sent an email/direct message on Twitter and will have forty-eight hours to respond. If no response is received within forty-eight hours, another winner will be chosen. Administrators are not responsible for prize fulfilment for any technical failures. Winning entry will be verified. A list of winners will be displayed on the original contest post. Facebook, Instagram, Pinterest, Twitter and/or Google+ are in no way associated with this giveaway. If applicable, social media posts (such as but not limited to tweets and Instagram posts) must be PUBLIC to be eligible. A reply to the winning email is required within 48 hours before a new winner is chosen. The winner’s entries will be verified.